1. Find out how citizen scientists make observations, collect data, and work with scientists to receive feedback on research. 2. Do 3 citizen science activities: sharpen your observation skills through 2 observation games and a SciStarter project. 3. Plan a Take Action project that helps others. 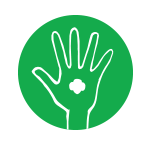 If you're a Girl Scout volunteer, go to Volunteer Toolkit for complete meeting plans and activity instructions. 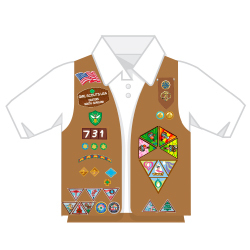 Girl Scout badges, awards and other insignia that are earned for the accomplishment of skill building activities or any set requirements should be presented, worn or displayed only after Girl Scouts have completed the requirements outlined in the appropriate program materials. Iron-on. Twill with embroidery. Made in USA.